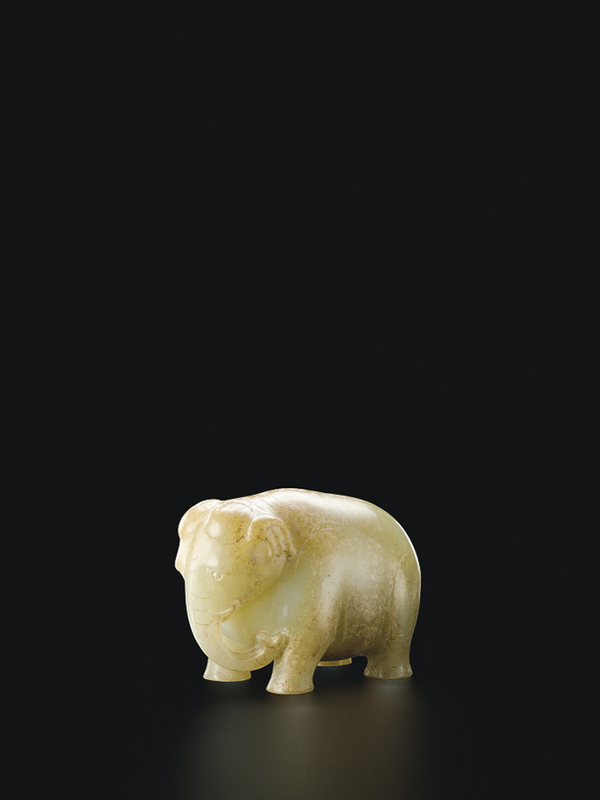 We are tucked away at a table behind the display walls at Sotheby’s spring 2017 auction, where 17 magnificent jades of the Beasts of Antiquity collection will sell a few days later for an aggregate HK$20 million. 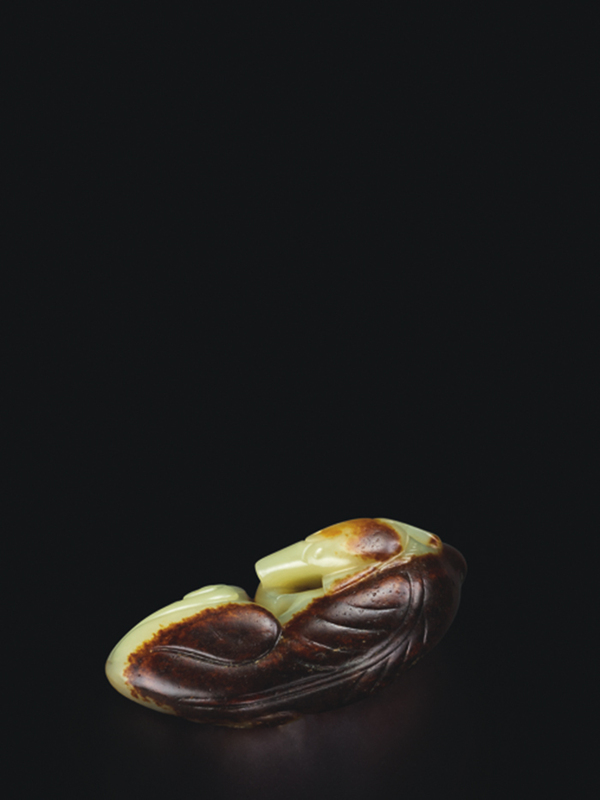 Ten of the jades in the collection originally belonged to Chung Wah-pui, a retired 82-year-old civil engineer who is one of the most respected living jade collectors. The sprightly Chung tenderly fondles a tiny, greyish white jade mythical beast called a bixie (辟邪). Delight is written all over his face. At just 6.2 centimetres long, the crouching feline’s detail challenges the naked eye, from the tiny mouth full of carefully formed teeth to the lion’s head and mane, with lightly brushed eyebrows, and eagle’s wings. Dated to the Six Dynasties (222-589 A.D.), a time of turmoil and confusion between the dynastic heights of the Han, Sui and Tang dynasties, its round-eyed stare and bared fangs are caught at the instant before its roar. It has been the better part of a decade since the bixie left Chung’s Hei-Chi collection, along with the rest of his jades. The master collector has nothing left but his memories. 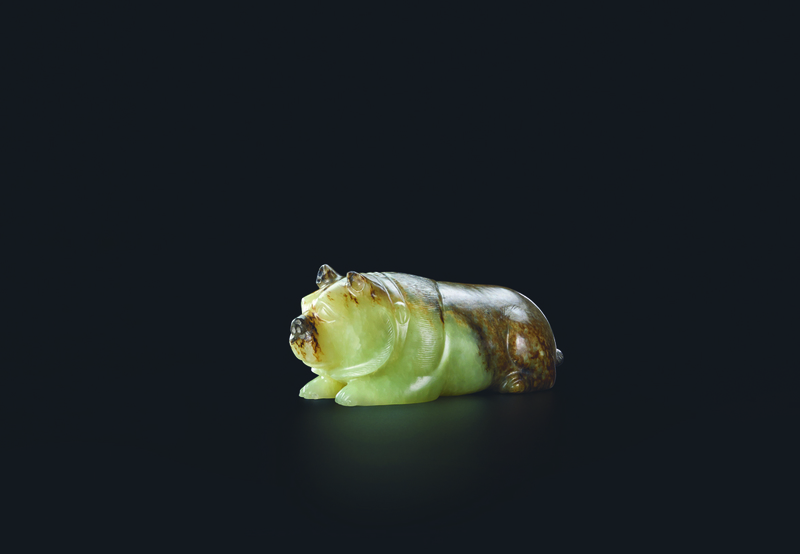 The bixie, with an estimated price between HK$1.8 and 2.8 million, did not sell. Two other jade animals did spectacularly well. The elephant and bear date to the Western Han Dynasty (206 BC-24 A.D.) one of China’s first empires. Long before the Han Dynasty, the Shang Dynasty (1600-1046 B.C.) which invented writing and metal craft, also created three-dimensional animal figures to be used as status symbols and decoration. 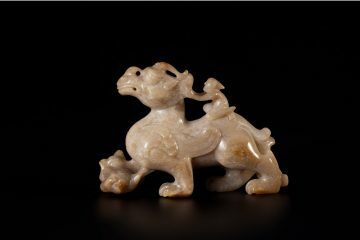 Jade animals then disappeared until the Han, although two-dimensional animals were plentiful, and again they were largely absent until Song Dynasty (960-1279 A.D.) scholars then began to collect them as elegant playthings and for meditation. 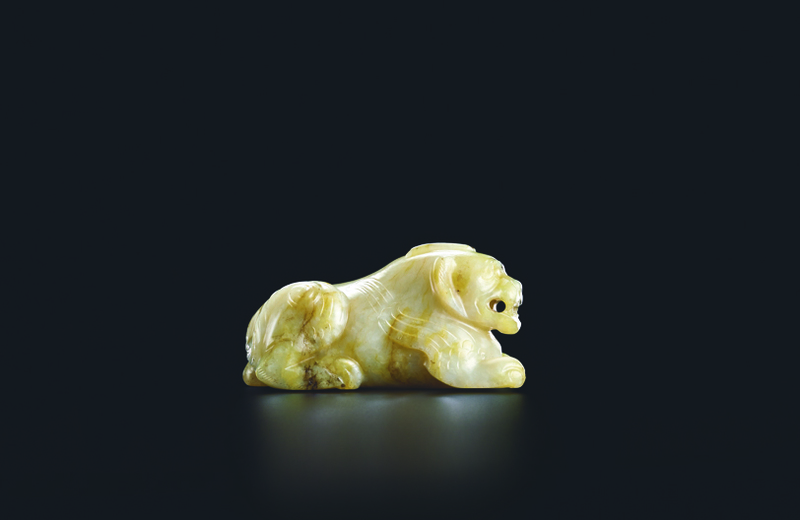 For Chung, the three eras represent the peak of jade art, and his collection of animals from all three eras was unparalleled – until he began to sell the collection around 2006. I am not sure I believe him — he mentions he keeps a jade figure of a monkey on a horse — and he has a weekly lunch with fellow collectors. But if Chung’s days as a great collector are past, his influence is profound. This is where Hotung met Chung. Initially based in a rented apartment on Chatham Road in Kowloon, when Chung was president from 1993 to 1995, the Min Chiu Society raised money among its members to buy equity in its current clubhouse, in a 1950s building on Bowen Road. Members meet twice a month to discuss their current acquisitions, and occasionally organise exhibitions. The most recent one was in 2010 at the Hong Kong Museum of Art in honour of the society’s 50th anniversary. The Min Chiu Society is an exclusive and — some would say — introverted club focused mainly on ceramics and painting. 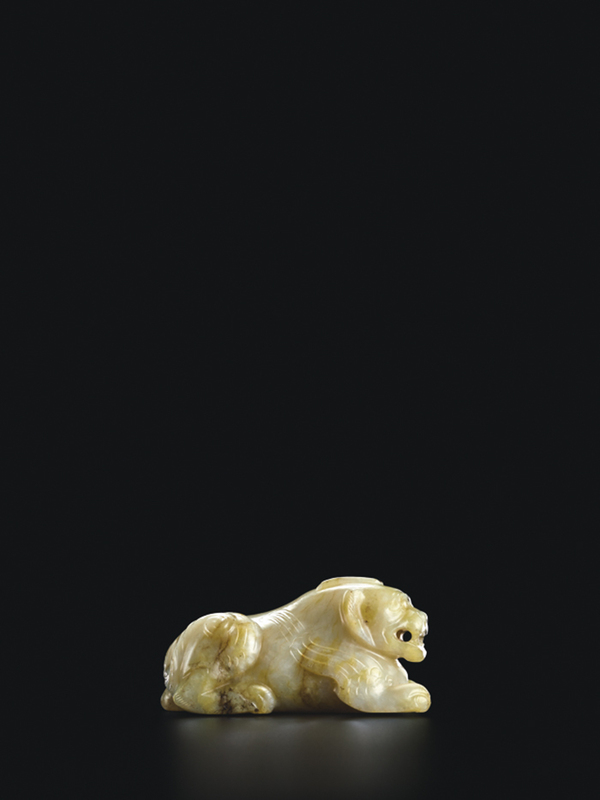 But in the 1980s, the society became the first in Asia to highlight jade, organising its first and only jade exhibition in 1983, during a time when Hong Kong suddenly and unexpectedly became the best place in the world to buy Chinese antiquities. Chung, Hotung, and a few others at the Oriental Ceramic Society of Hong Kong, a chapter of the London-based organisation, including Malcolm Barnett and Angus Forsyth, joined forces in learning and collecting. Chung helped Hotung by advising and buying for him during his frequent trips away from Hong Kong. Through Carol Michaelson, curator of the British Museum’s jade collection, Hotung declined an interview but acknowledged that Chung’s recommendations were “most helpful.” Chung says modestly, “If I saw something that was beyond my price range, I would let Sir Joe know about it.” One example is a famous 49.5-centimetre-high jade cong (琮), a squared-off tube from the Liangzhu period (3400-2250 B.C.) thought to represent earth in the British Museum’s collection. 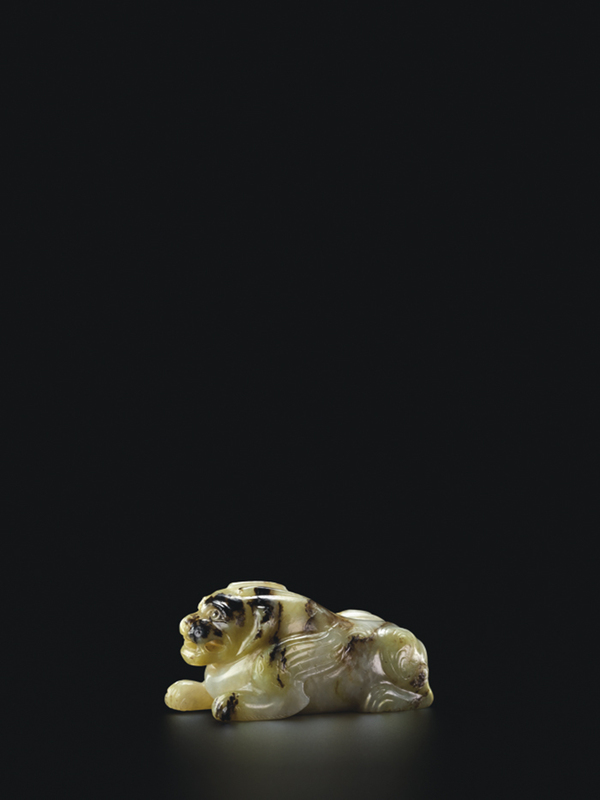 The British Museum collection, with 950 jades including the jades on loan from Hotung, is the world’s second largest after the Smithsonian’s Freer/Sackler museums of Asian art in Washington, DC, with its collection of 1,500 jades. Unlike Freer/Sackler, where many acquisitions date from American, European, and Japanese dealers and collectors in the early 20th century, the Hotung collection is more representative of Hong Kong after China opened the floodgates of antiquities confiscated from their owners during the Cultural Revolution (1966-1976). 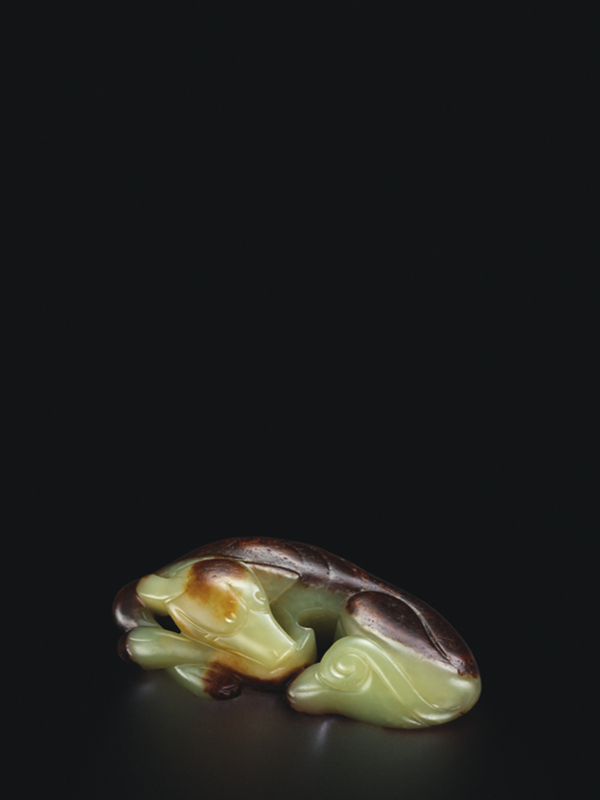 The shaping of the collection reflects Hotung’s own deep interest in archaic and Neolithic jade, but it is not too much of a stretch to say it also bears Chung’s imprint, as part of a unique period when supply overtook demand in antiquarian jade, and Hong Kong was at the centre of the vortex. The 1980s and 1990s were a heady time for Hong Kong’s jade collectors. The dating of early jade up to the Shang dynasty (1600-1046 B.C.) was largely conjectural, since archeology and excavations were halted during the period of Communist rule beginning in 1949. At the same time, antiquities were shipped by the container load to Hong Kong, as barter trade for the things China needed most at the time, as economic reforms took off after 1978. 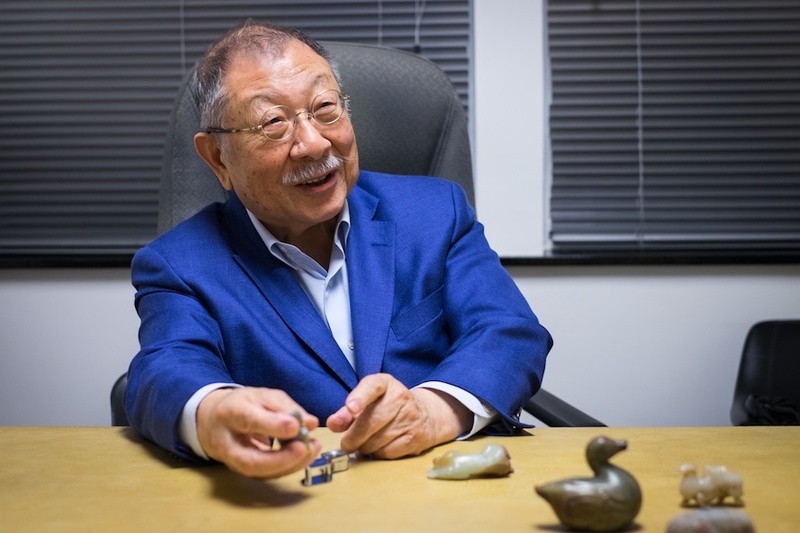 Chung recalls visiting a shop in Sham Shui Po in the 1980s, together with sinologist and art historian James Watt, where jade animals in the round were sold by the box with several hundred pieces per box. Two-dimensional archaic jades of the kind used for burial were popular with Chinese collectors and as a result the market was rife with fakes. 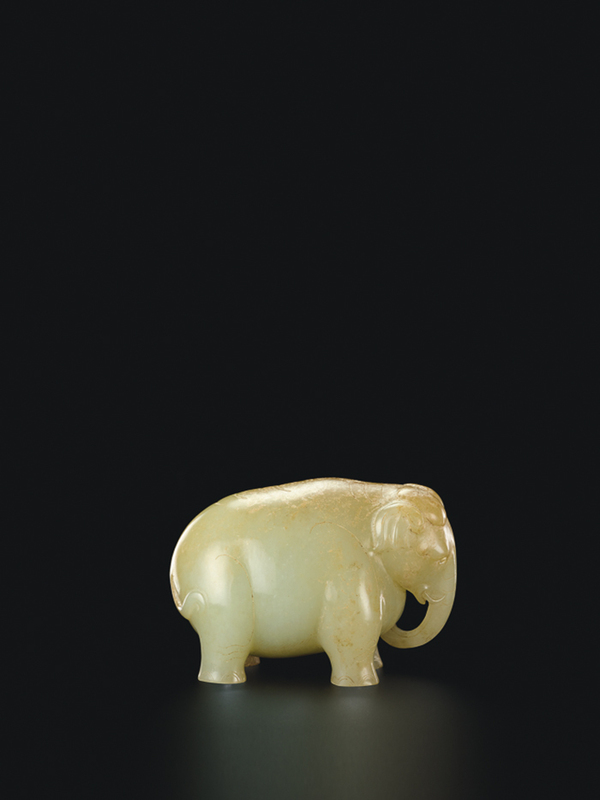 But jade animals were less well known, and Chung, Hotung, and Barnett became enthusiastic collectors of them. In 1974, a local farmer near Xi’an discovered the Terracotta Warriors, a life-size army assembled for the burial rites of the emperor who unified China for the first time, Qin Shi Huangdi (259-210 B.C.). The massive excavation, which has become a major tourist attraction and logged 120 million visitors in 2016, according to China Daily, triggered a change of heart on the part of Chairman Mao Zedong. Ideological restrictions were removed, and archeology went through a renaissance, leading to thousands of digs. What followed was an epochal wave of tomb robbing, exports through official and unofficial channels, and a wealth of knowledge from new finds. One measure of the quantity of antiquities discovered since 1974 is in a recent survey of China’s “movable” heritage, which found 180 million “relics” in official hands, 12 times the number of works in the British Museum. Even China Arts & Crafts, a retail store operated by the state-owned China Resources Group, carried a decent antique jade in the 1980s, according to Chung. The phase was well over by October 2016, when China’s State Administration of Cultural Heritage announced a complete ban on domestic auctions in cultural relics that were “stolen, illegally unearthed, smuggled or looted from China,” and nowadays Chung says it would be “impossible” to put together a collection comparable to the one he once owned. “When we collected these things, it was before anyone was imitating them. They are not available anymore. You would never be able to put them together again,” he says. Where is Hong Kong’s jade museum? As we take a last long look at Chung’s miniature zoo, I have a question. If Hong Kong has been such a wonderful platform for collectors, why do they leave their holdings to museums everywhere but in Hong Kong? In addition to the Hotung collection at the British Museum, one of the few non-ethnic Chinese members of the Min Chiu Society, Hong Kong-born lawyer Brian McElney, used his collection to open the Museum of East Asian Art in Bath in 1994, launching it with the Jades from China exhibition in collaboration with his former colleague, Angus Forsyth. McElney told The Guardian that he and others saw danger in keeping their art works in Hong Kong after mainland China’s sweeping confiscations during the Cultural Revolution. He began moving his family’s collection offshore to Canada in 1967, at the start of the Cultural Revolution. But he gives full credit to the role that Hong Kong played in his collection from the early 1970s onwards. 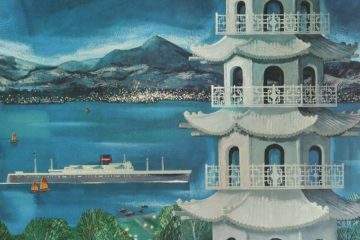 “Hong Kong ceased to be a cultural desert and became the centre for Chinese art, which moved from London to Hong Kong, and remains here,” McElney said recently at the launch of his new book, Collecting China: The Memoirs of a Hong Kong Art Addict. 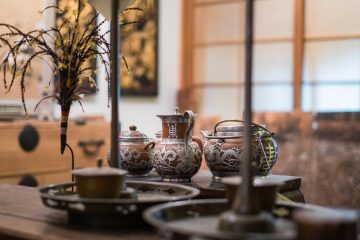 Chung believes that Hotung, who now lives in London, merely wanted to keep his collection close when he lent much of it to the British Museum around the same time as the Bath museum opened. 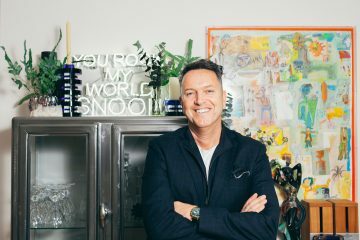 “If I were him, I would want to do the same and have my jade collection nearby,” he says. Chung says that Hong Kong museums are suspicious that private collectors merely want the imprimatur of a museum exhibition so that they can sell their antiques at higher prices. As a result, local museums insist on contracts that prevent collectors from selling their objects within a three-year time frame. Meanwhile, the buyer of Chung’s elephant and bear is a friend. “I can go see them any time,” Chung says. For the great collector, it is enough to have served as the guardian of jades that have lasted through the ages and will bring pleasure for many generations hence. 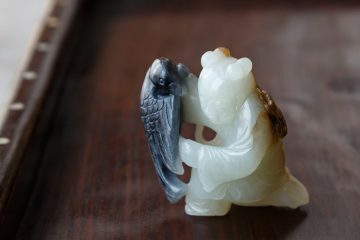 Why one of the world’s most respected jade collectors sold off nearly every piece of jade he owned.